Rising 18 stories above the fields in rural Indiana, Duke Energy’s Edwardsport power plant is a technological marvel and among the cleanest coal-fired power plants in the world. 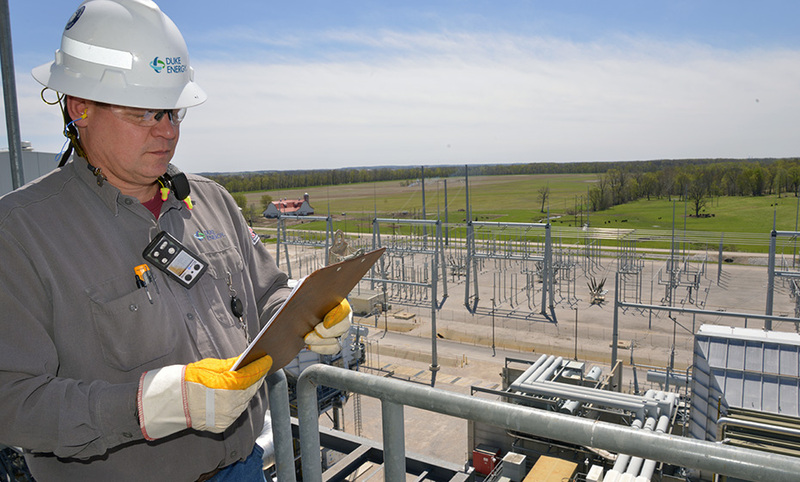 Edwardsport Integrated Gasification Combined Cycle (IGCC) station in Knox County, Ind., produced a record 3.9 million megawatt-hours of energy in 2017, a 28 percent improvement over its previous record. The plant produces 10 times more power, and is 70 percent cleaner, than the older coal units it replaced. 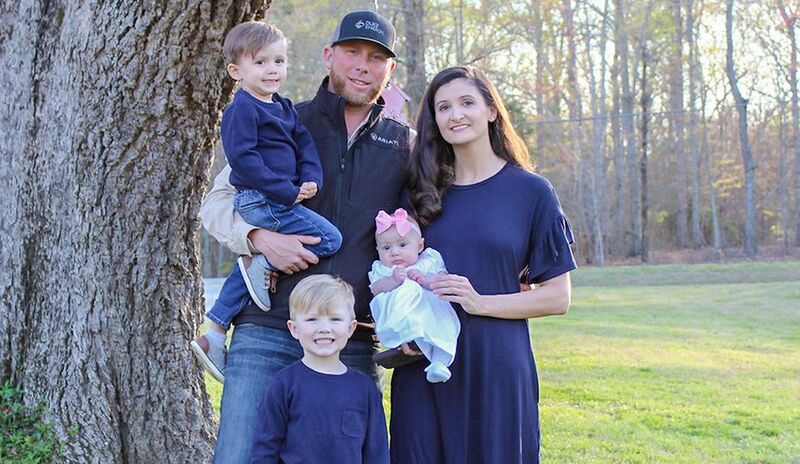 In 2017, the plant provided power for about 500,000 homes and businesses. The plant uses 1.5 million to 2 million tons of Indiana coal per year, a boost for local and state economies that depend on the coal industry. The coal used each year supports an estimated 170 mining jobs, and the plant employs around 200. 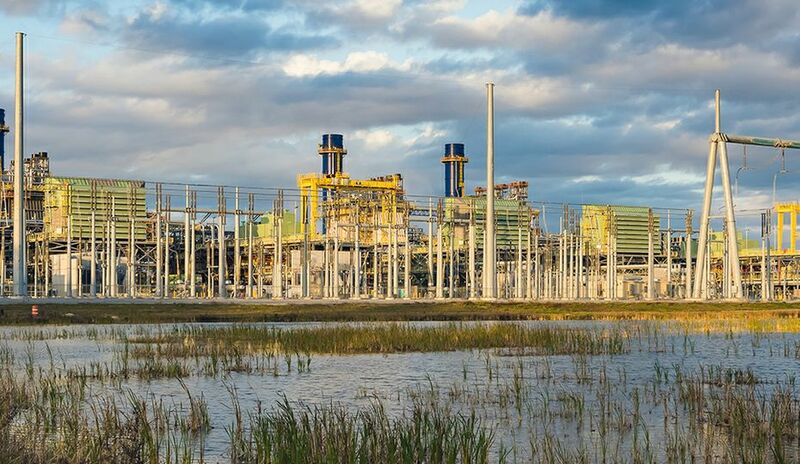 One of two gasification combined-cycle plants in the country, and the largest, the 618-megawatt plant started producing electricity commercially in 2013. What sets it apart from other fossil-fueled power plants is its technology. 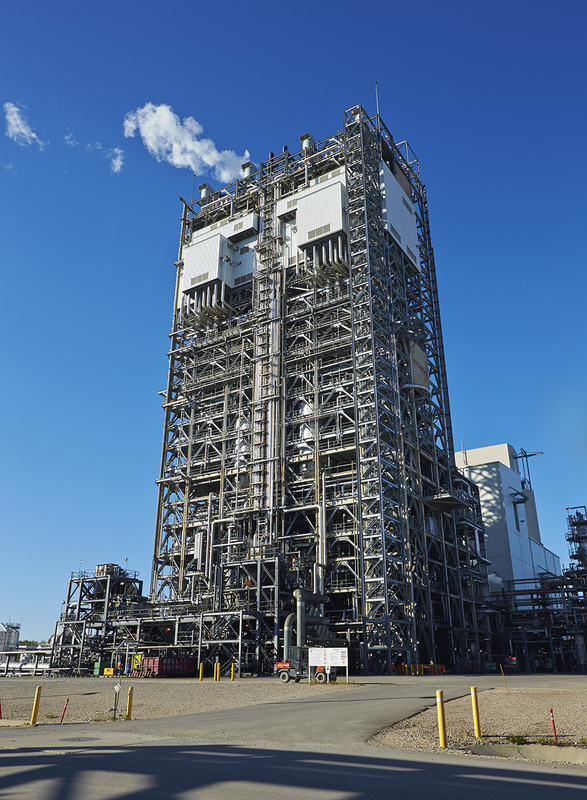 The plant can produce electricity using natural gas or by using a gasifier to turn coal into syngas (synthetic gas). The syngas fuels two combustion turbine generators and a steam-driven generator, running off heat from the combustion turbines and gasifier, to produce electricity. The syngas produced from gasification is refined to remove pollutants, including sulfur and ash. These byproducts of the gasification process are further refined to make other products for commercial use. Slag, for example, is removed from the gasifier and can be used to manufacture concrete, roofing shingles and asphalt filler. 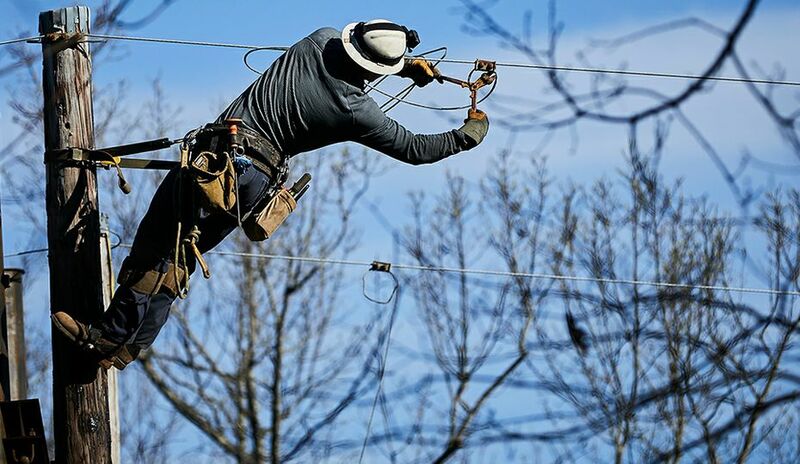 When Edwardsport runs on coal, it’s one of the lowest-cost power plants in the Duke Energy Indiana system, which includes natural gas, solar and hydroelectric power. 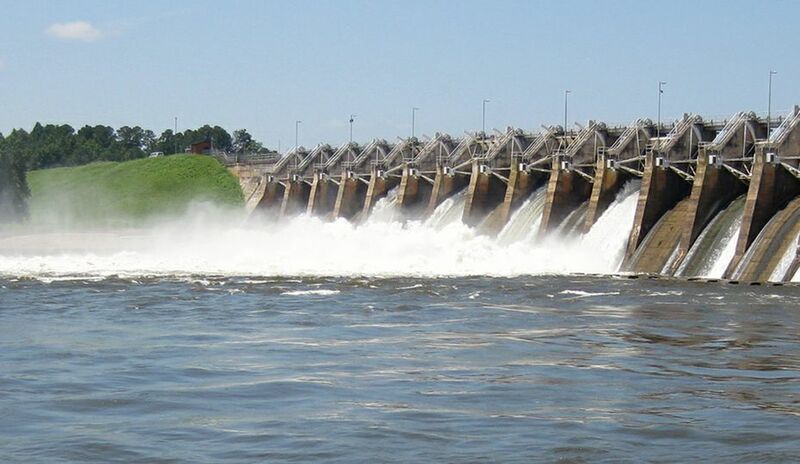 Edwardsport emits less sulfur dioxide, mercury and particulates than the conventional coal-fired plant it replaced, while providing more than 10 times the amount of energy. 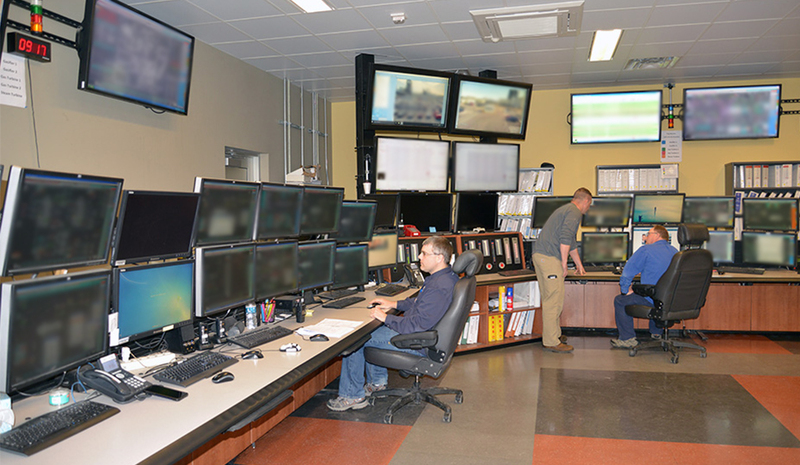 Gasification control room operators Josh Samm, Jason West and Ryan Irvine monitor systems in the plant’s main control room, which is staffed around the clock. The gasification process and combined-cycle units are operated from the main control room. Scott Goodman and Elizabeth Huber prepare the training simulator. 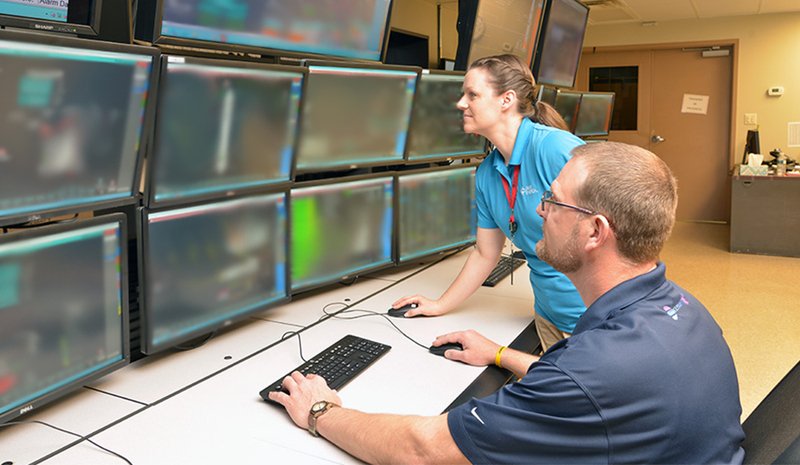 New operators learn how to run the plant, monitor systems and identify and respond to changing conditions. 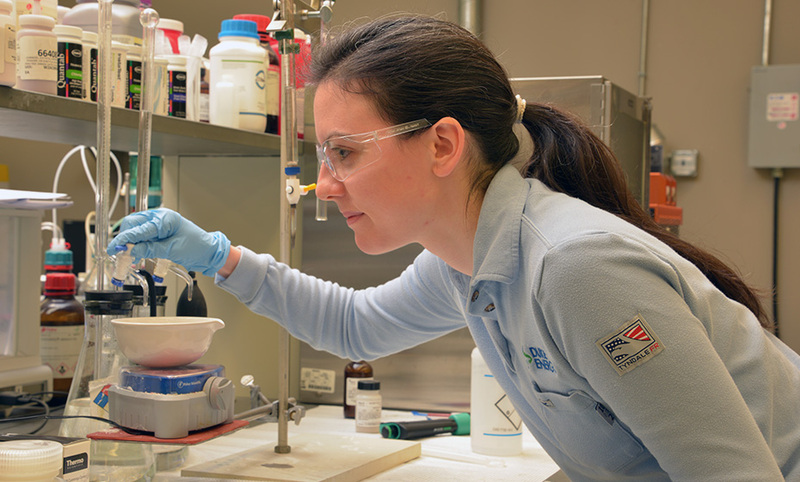 Process Engineer Emily Myers analyzes water samples to ensure quality. Samples are tested for metals, alkalinity, chlorine, total suspended solids and oil and grease. In the plant’s environmental lab, technicians test samples to ensure the site meets water quality standards and environmental permitting requirements. Engineer Anil Gyanani ensures the site meets standards and requirements for handling hazardous chemicals. 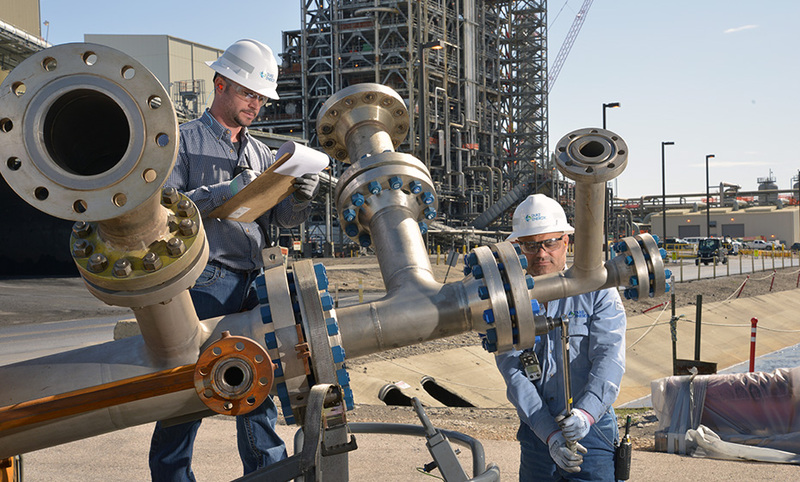 Maintenance team members Mitchell Thorne and John Koenig make a final adjustment to a gasifier feed injector, a key piece of equipment. 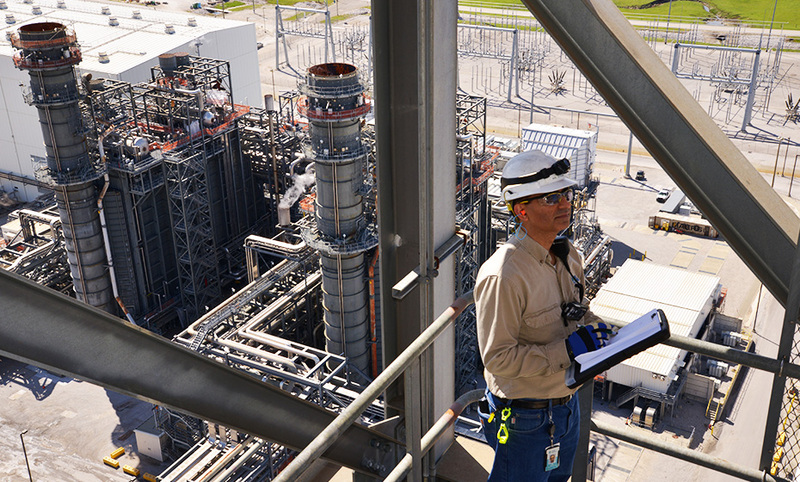 Max Benson Jr. checks equipment daily in the combined-cycle plant, adjacent to the switchyard. The syngas produced in the gasifier fuels two combustion turbine generators to produce electricity. Steam produced from heat in the gasification process, and from heat in the exhaust gases from the combustion turbines, is recovered to drive a third turbine, making additional electricity. The most visible structure at Edwardsport is the gasification tower. Looming 18 stories and more than 300 feet high, the tower is where coal, a solid, is gasified in a closed pressurized reactor.